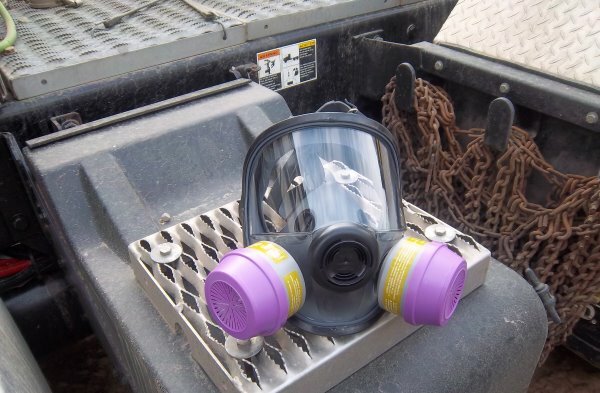 Frac sand safety has become an important topic lately with all the concerns about silica dust being inhaled by workers. Thankfully, there’s been a push for better training, equipment, safety policies and procedures. Implementing these changes can often lower productivity, but this isn’t the case with the introduction of Telebelts. They’ve actually made it safer while increasing productivity at the same time. We ended the last section by mentioning there were 3 main areas of concern when using pneumatic systems. (Pressure, frac sand storage, and speed.) So let’s take a look at each one to see the advantages of using a Telebelt over conventional pneumatic systems starting with Pressure. Before we get into that take a look at this short video of what the frac sand dust looks like while unloading at night. The first main area of concern is frac sand off-loading under pressure. Concerns in this area are handling high pressure lines, spillage and frac sand silica dust. We’ll also throw in product quality issues even though it’s not a safety concern, it still deserves mention. There’s been many documented cases of injuries and near misses with pneumatic systems. They can be caused by blowouts in the line, fittings coming loose, or removing pressurized lines that have plugged off. I personally witnessed a line blowout that sent an employee to hospital with a broken tibia and fibula. The accident was preventable, but it still happens. Frac Sand Safety. Silica dust exposure can lead to silicosis of the lungs. Full face masks are now required throughout most of the fracturing industry. This is the single most important reason for the push for improvements in frac sand safety. It’s been known for many years and ignored for far too long. Frac silica dust clouds linger like a fog. Full faced masks have to be used around the immediate area. Pneumatic systems unloading under pressure force all the silica dust into the air while moving the sand with telebelts create very little dust. Microscopic flecks of crystalline silica are dangerous particles smaller than 2.5 micrometers (PM2.5). They’re about one-twentieth the width of a human hair and can become permanently lodged in the lung tissue. I’ve recently become aware of companies now providing full body suits, so the dust doesn’t touch any part of your skin. Improved Frac sand safety led to dust control systems, but they’re not 100% effective. 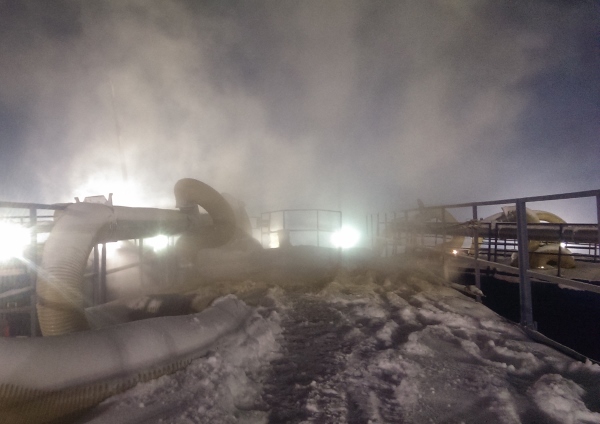 Everything from equipment failure to operator issues can leave workers exposed to silica dust. The dust collection systems I’ve seen in the field help reduce the dust, but aren’t 100% effective, or reliable. Like any equipment, they’re only as good as the operator using it. I’ve seen these dust collection systems partially or completely fail while the unloading continued. Keep Reading Frac sand Safety…..